Is Palm Oil Truly Destructive to The Environment? Palm Oil has been a magnet for NGO activitism particularly with respect to deforestation and biodiversity/habitat loss. There has been so much unsubstantiated information in the public sphere that paints a negative picture to the industry. Currently, there are no other crops in the world that has attracted this amount negative attention. 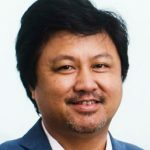 While Palm Oil is perhaps the only crop on earth with the largest Sustainability certification volume in tons or in land area, there is still much more to do to raise the bar in sustainability practises for smallholders in the industry which is a significant amount, more than 43% globally. For smallholders, perhaps certifications are not the only way but a systematic step wise approach which start with integrating Good Agricultural Practises into their farming methods. 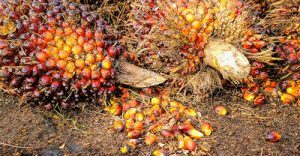 There is a trend of investors and financers of the Palm Oil industry requesting for formal certification and ESG reporting. Due to market requirements, larger palm oil players invested in traceability tools and procedures to achieve higher transparency along their supply chain. While governments in producing countries understand the issues very well, it is the governments of consuming nations that should engage more with the industry and the governments of producer to understand the key issues. It is a question of commensurate effort, while palm oil produces more than 12 million tons of certified palm, sadly, less than half that is actually sold as normal non certified palm oil. Similarly, the environmental argument against palm oil is sometimes overtaken by emotional overtones which fail to see that if the world today existed without palm oil, there would be more than 90 million hectares of land lost to crop cultivation for edible oil. 90 million hectares is the combined area of both France & Belgium. 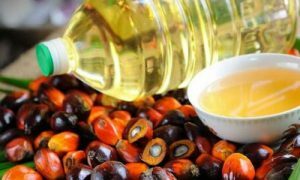 There is substantial growth opportunities in the downstream processes of palm oil. The production of Biofuel which is sometimes controversial has significant opportunities for growth when we consider the escalation of the price of crude oil recently. Further there are numerous applications of Palm Oil in both Oils & Fats production, whether it is in food applications or even oleochemicals. It also helps the Palm Oil is by far the most efficient and cost effective edible oil crop in the world.